Here we have been sent the beautifully crafted ‘Sleepytot’ lamb in large. Available in both small and large guided sizing dimensions are as followed w19cm by h19cm and w22cm by h25cm. 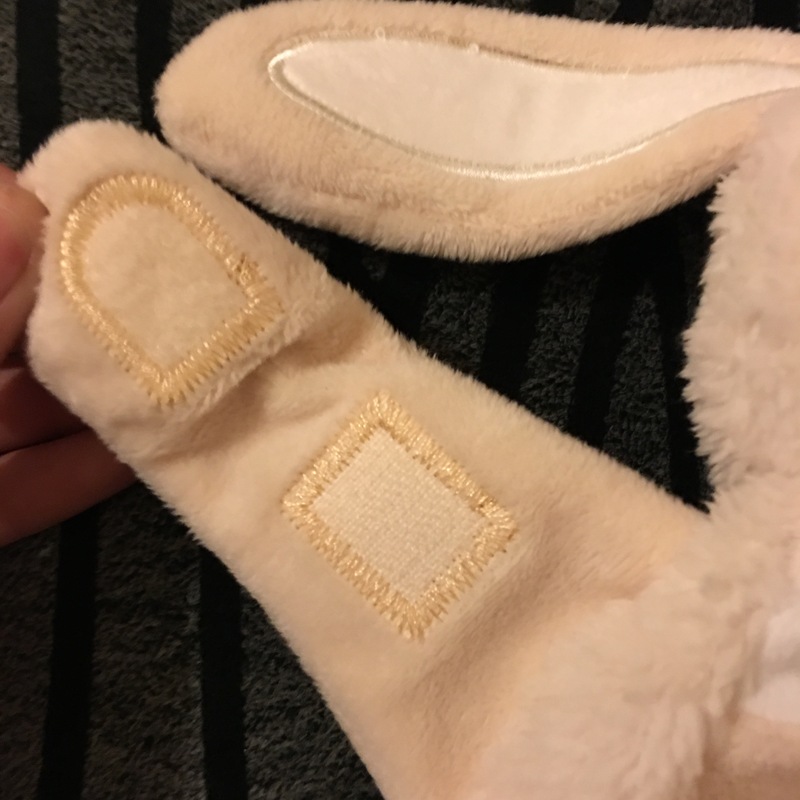 Velcro paws for holding onto pacifiers, cot bars and buggies. Fully machine washable at 30degrees. Our ‘Sleepytot’ lamb arrived in it’s lovely box with a rope tie handle to finish. The outside is printed with different uses for your ‘Sleepytot’ which I found a massive plus as a great packaging can give you such a premium feel. 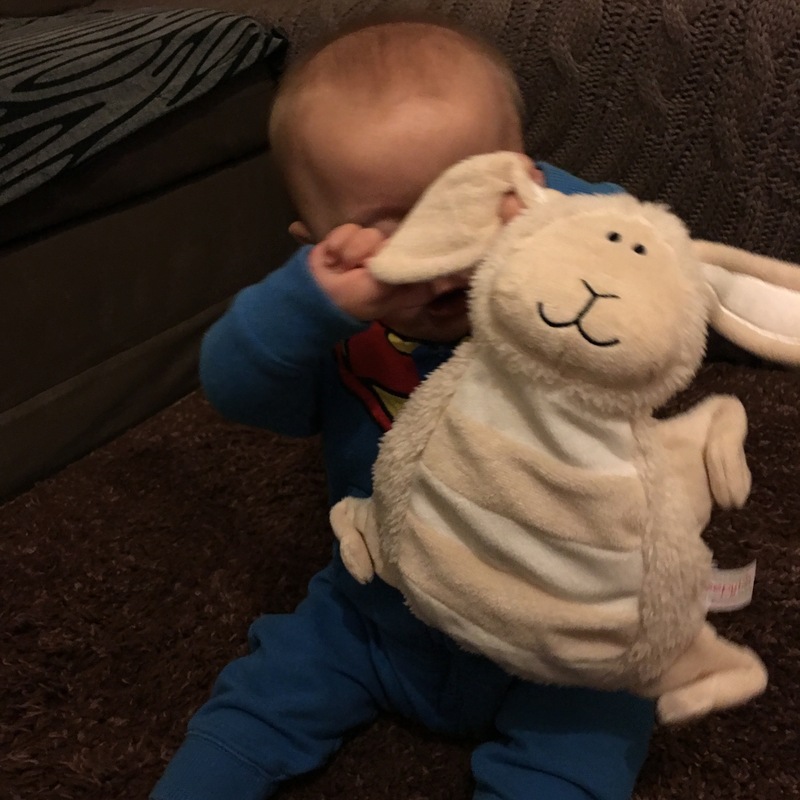 The lamb comforter is incredibly soft to the touch and so gentle next to your child’s skin, this has been massive hit with my youngest son Jacob. Now to mention the lambs super cool pacifier/dummies holding skills. This is one of the biggest selling points in my opinion as they’re are not many readily available soft toy dummie holders on the current market. 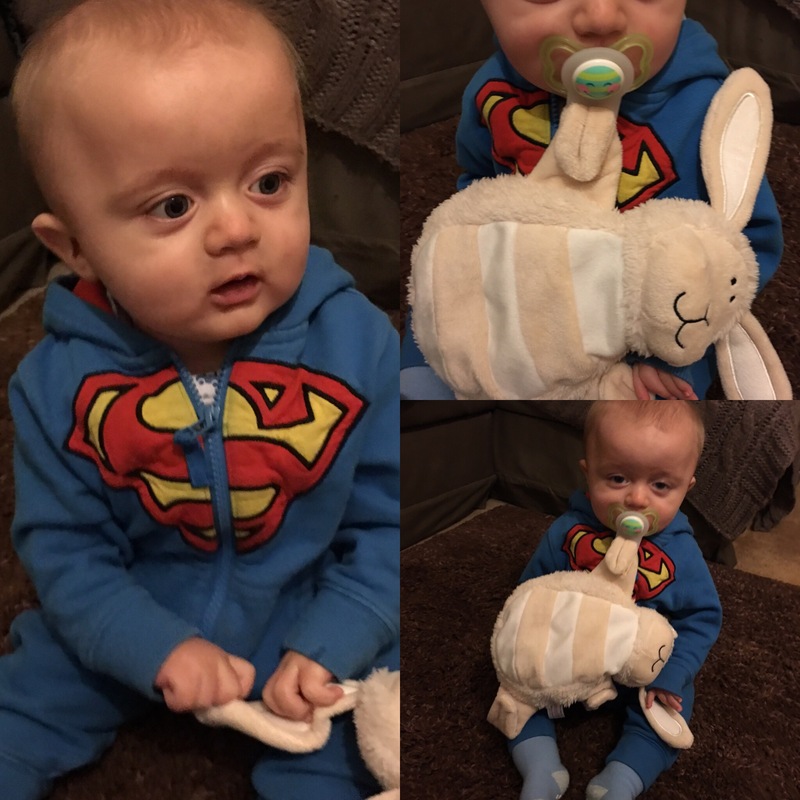 It is such a massive comfort knowing that Jacob will always have his dummy to hand when I can see His Lamb around. 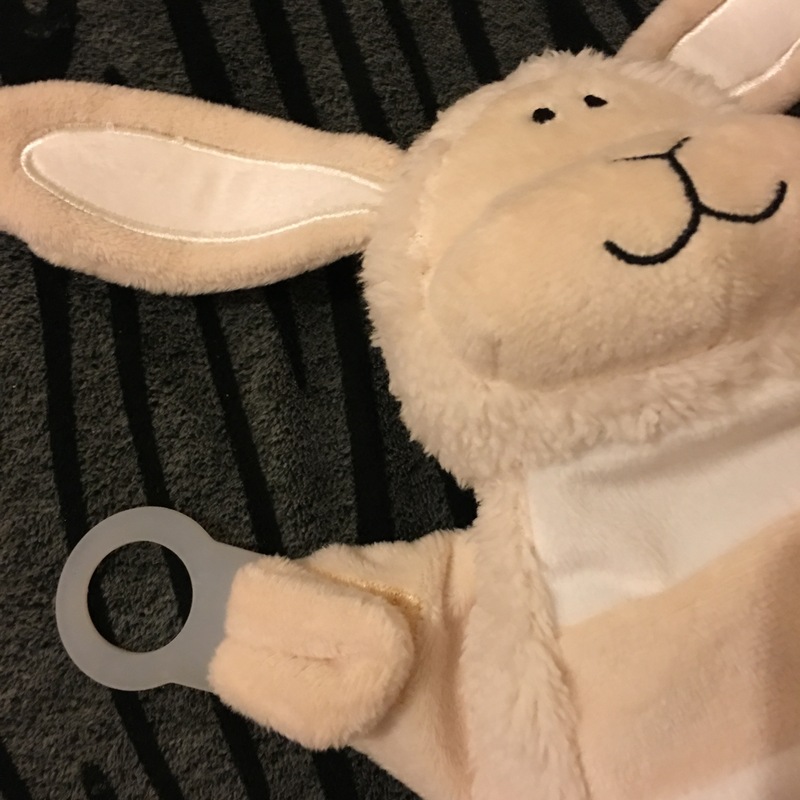 Jacob uses ringless dummies so we were sent the adapters ( available to purchase separately) which simply slide through the lambs paws and then you clip your dummy through the adapter hoop ( pictured below). 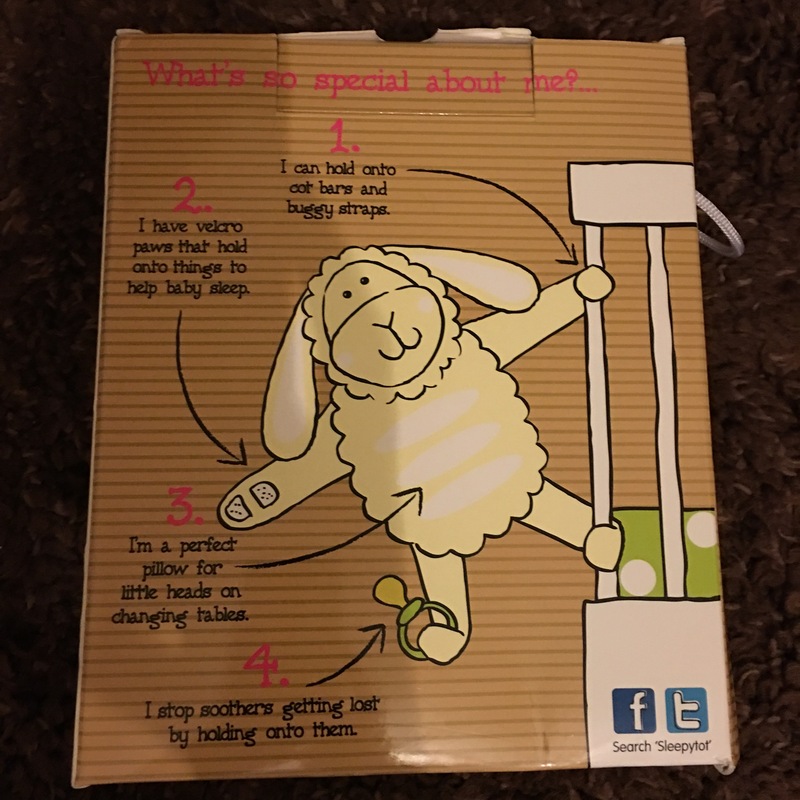 Now the website states that the lamb can potentially hold onto cot bars and car seats, unfortunately we are yet to find any of ours that his paws can wrap around which is a bit of a shame, however this has already been addressed on their website giving you the option of using D Rings to attach it with. I do however have to comment on sizing. We were sent the Large version of the comforter but for Reviewing purposes I purchased the small bunny comforter seperatly. I have shown a side by side comparision below and in my opinion I would only recommend you purchasing of the large unless your child was born prematurely as in my opinion it’s likely your child would outgrow the small within a few weeks. Overall both Jacob and I are very impressed with this product. 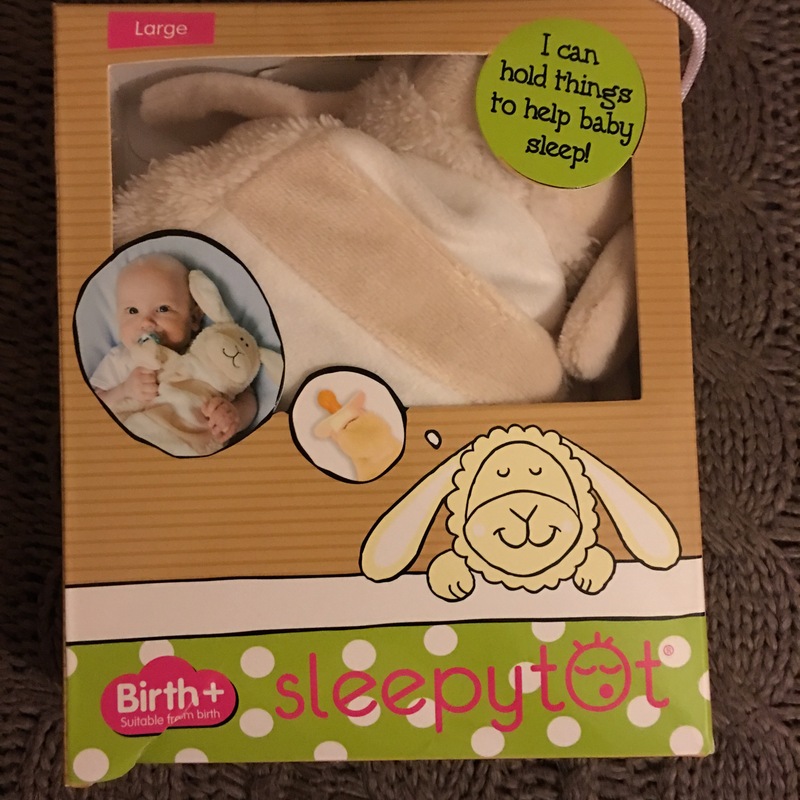 It’s without question beautifully made, but also has the parents interests at its fore front with the handy uses of being able to hold dummies. I would love to see future improvements to the lengths of the arms just so it could cover a wider range of car seat/cot holding abilities, however I’m not aware of the current health and saftey regulations regarding this matter. 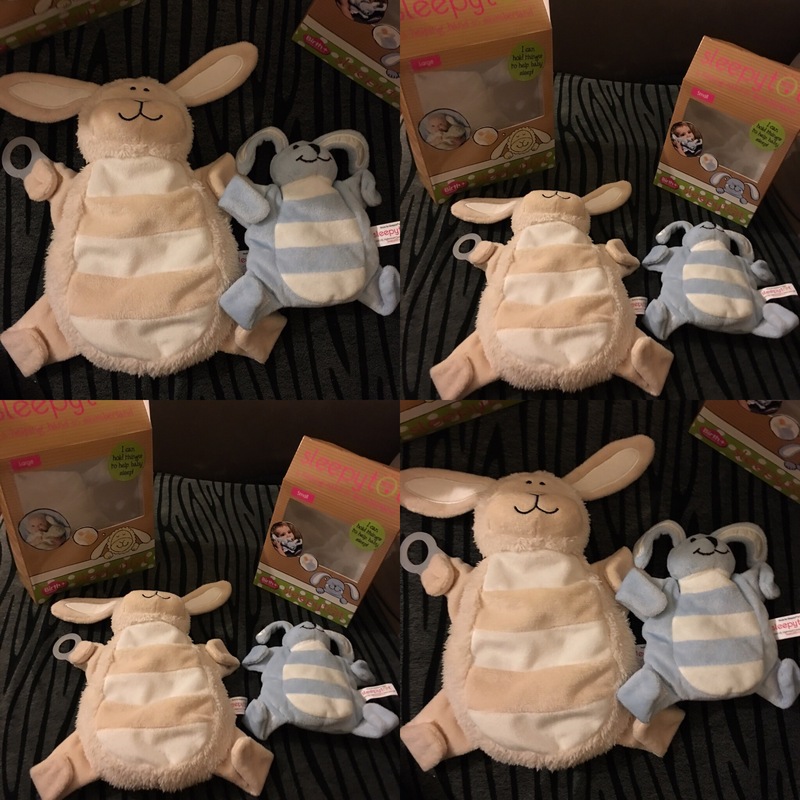 The lamb comforter is available now to purchase, or if you would prefer to browse sleepy tots website click here.